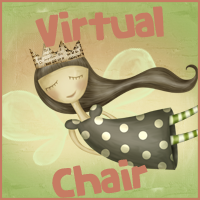 Today sitting on the Virtual Chair is Mary from The Sweet Bookshelf. You can follow her on Twitter, Facebook and don't forget to visit her awesome site! Probably Voldemort. I love all things Harry Potter and old Voldie scares the crap out of me. I'm not a huge paranormal fan but I'd have to go with Angels. I've read a few Angel tales and I enjoy the celestial qualities they posses. It's all so romantic. The eternal nature of it. Do you ever read the ending of a book before finishing it? I NEVER read the ending of the book first. Never ever ever. I can't do it. It ruins a part of the surprise for me. The whole point to reading the story is the journey not necessarily the end result. I want to enjoy all the emotions while I read. Can you tell that I hate spoilers?! I am so awful at describing my blog in just 3 words. I'm more of a detail person. So how about this: The Sweet Bookshelf is a place for fun bookish discussions. I've always got a discussion going on! If you're looking for something romantic, you can always find it here. I LOVE love stories! 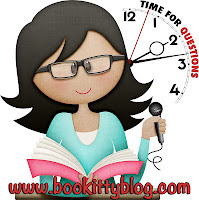 My blog is a place for friends to come together and talk books. You can know that I'll be commenting back! I have this strange need to finish a book even if I'm not enjoying it. I think I've not finished 2 books in 5 years. If I'm not in the mood for something I'll promptly stop reading it and move on to something else. But those few that I've started will need to be finished in a certain amount of time or I literally can't move on to the next pile of books without finishing them. I just have to know how the story ends! My least favorite thing about book blogging is all the drama and jealousy. I think we are all different and it wouldn't be any fun if everybody's blogs were the same. Let's all just do our own thing and support each other because we love books. Stop with the stats counting. Just have fun! What do you think of love triangles in Young Adult books? I love a good love triangle. If it is done right then you will be able to see the protagonist with either love interest. Although it might not be realistic to have so many guys after one girl, I love it. I love that the choice feels life or death. 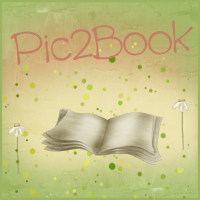 Some of my favorites are Clockwork Angel by Cassandra Clare and Wings by Aprilynne Pike. Those are some really well written love triangles! My favorite character of all time? I'm going to have to go with Sarah Agnes Prine from These is My Words by Nancy Turner. I have never in my life felt so connected to a character. She is spunky, brave, selfless and full of love. A true heroine is every sense of the word. I wish I was like her. How often do you visit Goodreads? When I enter "goo" into my search engine Goodreads comes up instead of Google. I'm there to add the books I've read each week as well as checking out reviews for books I want to add to my TBR pile. I love it. I wish I participated in more discussions and such there but I just don't. At least not yet! Ghosts or Zombies. What would scare you most? A Zombie would probably scare me. They could chase me and touch me and I'm pretty sure I'd be screaming and running for my life. I don't like being chased.